He is to receive the Classical Award at the fundraising event, which benefits the Nordoff Robbins music therapy charity. Malone said of his award : " Bringing people closer to music and using music as a tool for enhancing life has always been a passion of mine. "Music is central to Nordoff Robbins and so is wonderful for me to be honoured by this charity who are able to bring music to people in a unique and special way." 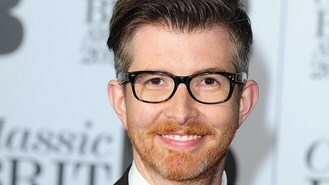 Malone, who was behind the chart-topping Military Wives, is about to tour for the first time with his latest ensemble, Gareth Malone's Voices. Williams has already been announced as the winner of the international title at the event, formally called the O2 Silver Clef Awards, and staged at the London Hilton on July 4. Faith has been named best British act, while electronic music pioneer Giorgio Moroder is to receive the innovation award.